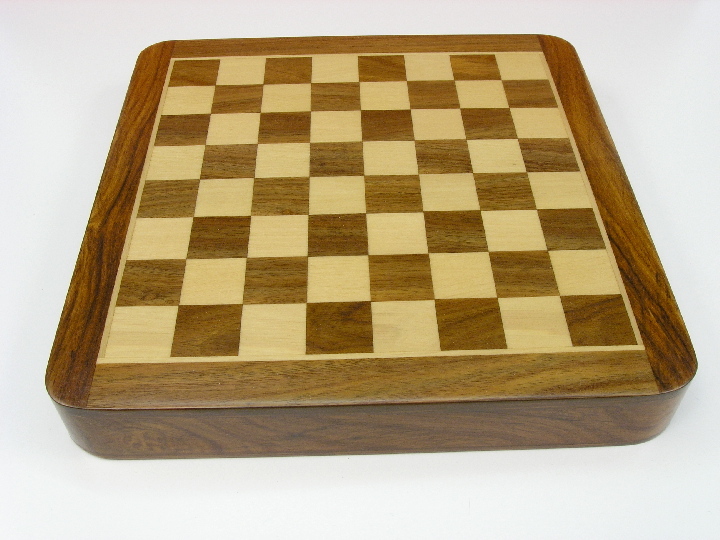 This product from Chess Baron: New - now in whitewood and sheesham. 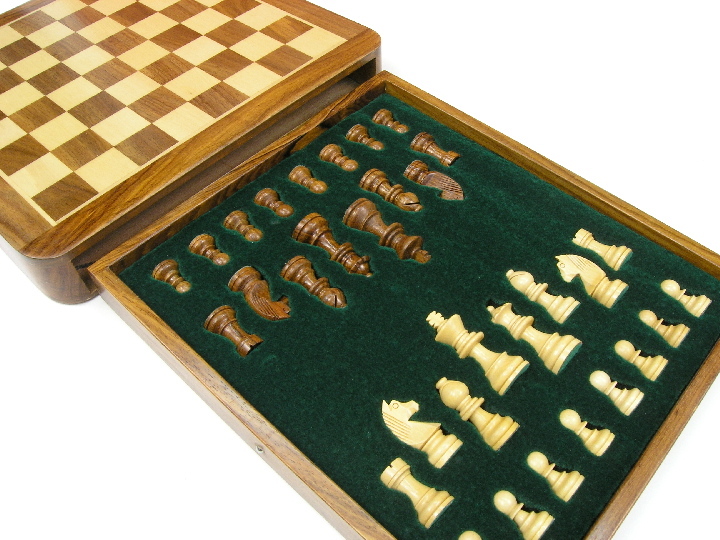 This is a superb travel set in a good size. 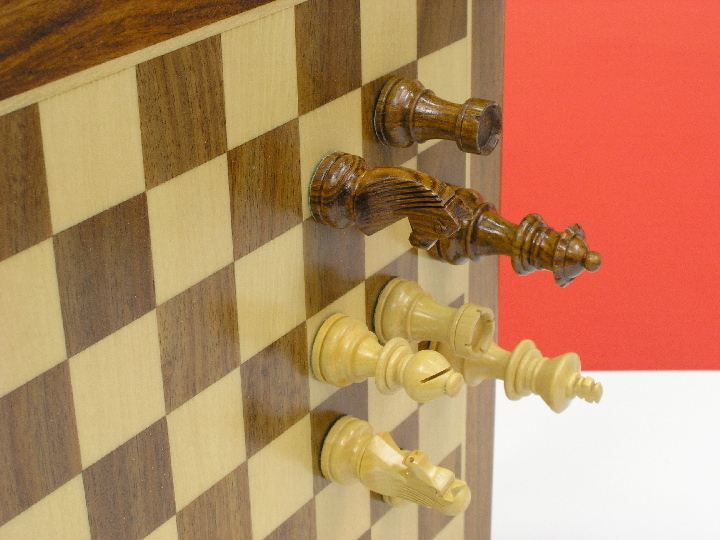 All the chess pieces have an individual place in the internal drawer. 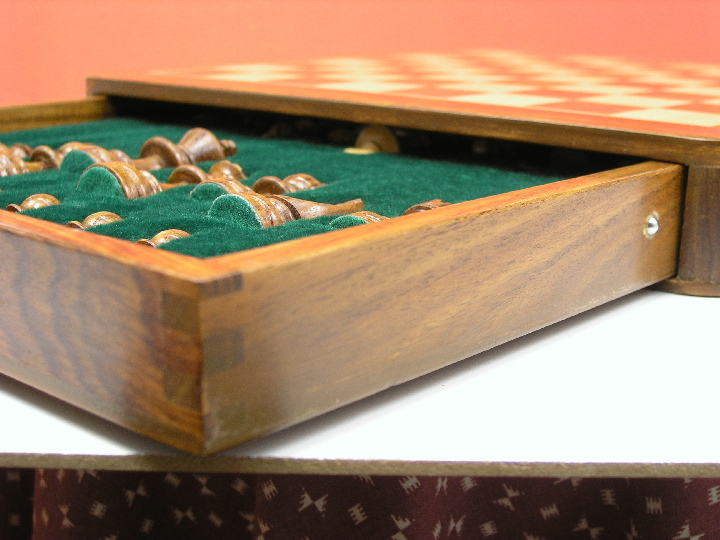 The tray that holds them fits snugly inside the board. 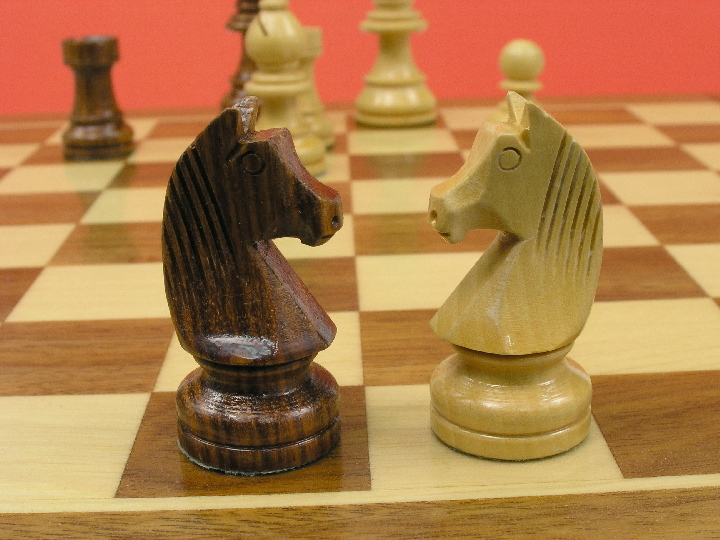 The set is magnetic! Luxury at an affordable price! 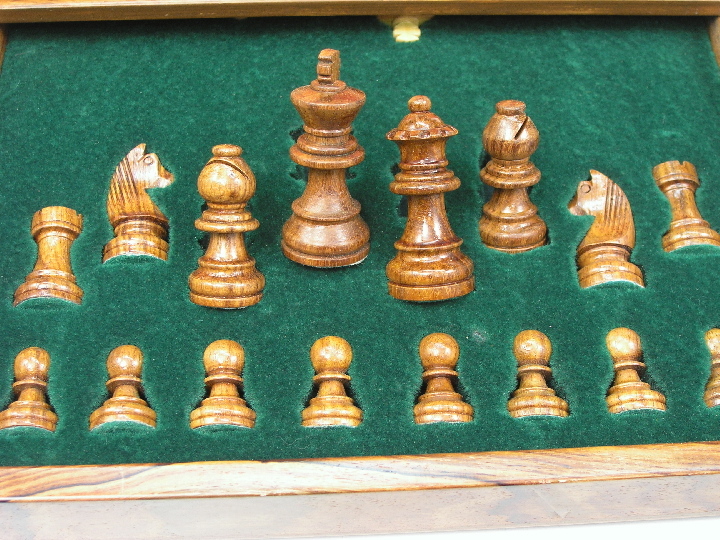 You dont often get a travel set that has everything you need including an economy price but this set has it. 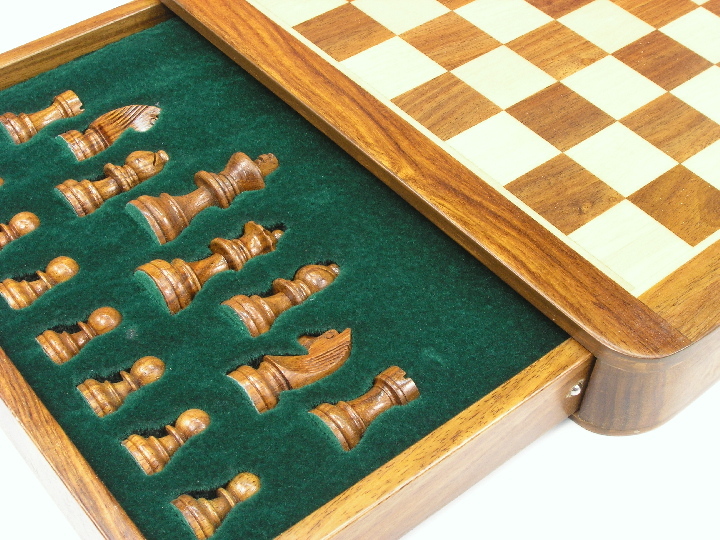 With a 'realistic' size board of 12 * 12 inches along with magnetic pieces, this set can only be a pleasure to play with. 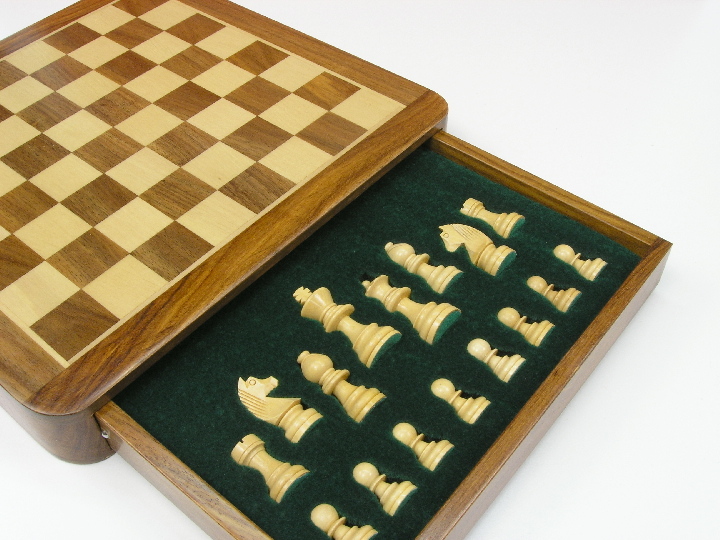 The chess pieces are stored in an internal tray that can be opened from either side of the board. 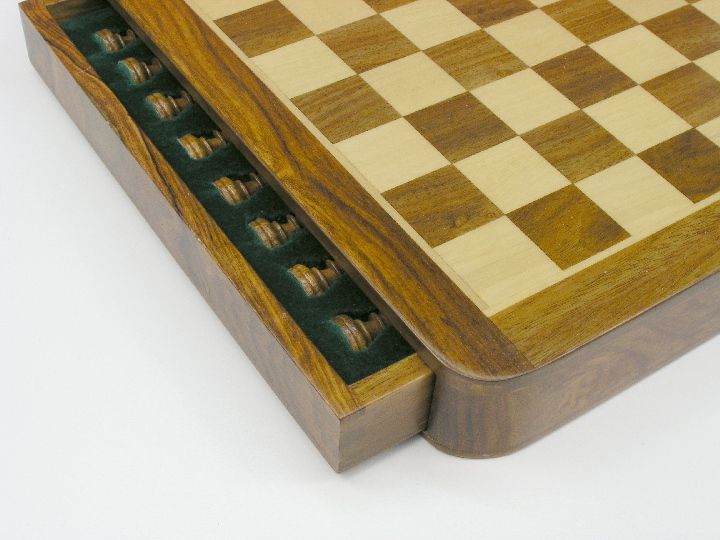 The tray slides smoothly using ball bearing technology (not just wood on wood like cheaper sets). 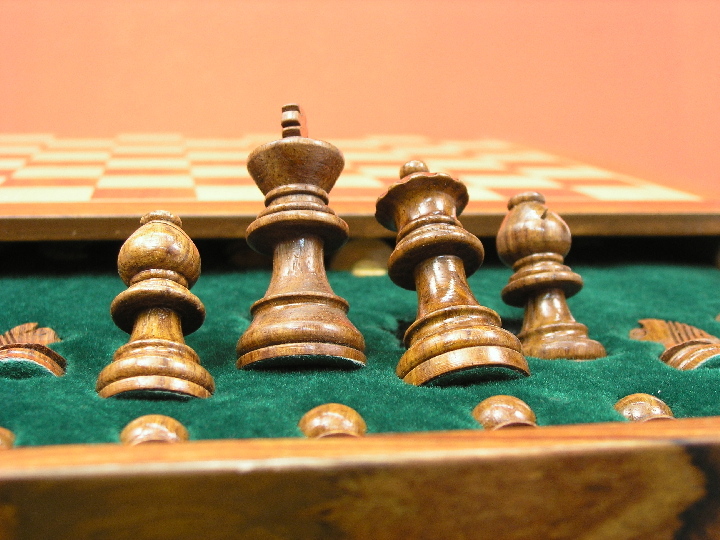 The King is a generous 2.5 inches and yet the total weight of the set is 1.5 kgs which can only make the decision to take it with you easy! Throw it in!